What makes Suffolk a special place in which to live, work and be? Inspired by award-winning designer Wayne Hemingway, a ground-breaking “Design Guide” for building and development in Suffolk is being created by the county’s local authorities. Critical to its success will be local input and with this in mind, a survey has now been launched to ensure that the views of Suffolk people play a key role in future decisions. Although other counties have produced similar Guides, this will be the first that incorporates the wishes and opinions of the people that matter most: those that live (or have lived) in, work in or visit the county. Essentially, the people that love Suffolk. The survey is just the start of the process and the councils will work with other public bodies, land owners, developers, parish councils, architects, engineers, artists, and amenity groups to finalise the finished Guide. A wide range of events will also take place including conferences, study tours, community events, developer meetings and interactive exercises. On behalf of East Suffolk Council HemingwayDesign are leading a team including Design South East and Hudson Architects, on a project Suffolk Design, an initiative to ensure the quality of new buildings, public spaces and neighbourhoods throughout the county meets today’s needs and tomorrow’s challenges. We all know that Suffolk has to grow. New homes, workplaces, schools and infrastructure are needed to meet to meet current and future needs. We want to make sure that new developments in the county contribute to Suffolk’s unique identity and ensure it remains the attractive and successful place we all love. All the local authorities in Suffolk have got together and, with funding from Government, will be inviting the private sector (including land owners, developers and designers), other public bodies and community groups to discuss what makes Suffolk special, and how to keep it that way. Over the next year there will be bringing together local authorities and other public bodies, land owners, developers, architects, engineers, artists, parish councils and amenity groups. A wide range of events will take place including study visits, discussions and interactive exercises, small meetings with developers and large events for the community. Later this year we will launch the first version of a new online resource to guide and support the design of future developments. Suffolk Design will create an in-depth online resource and a handy desk-top companion to guide the future quality of the built environment. 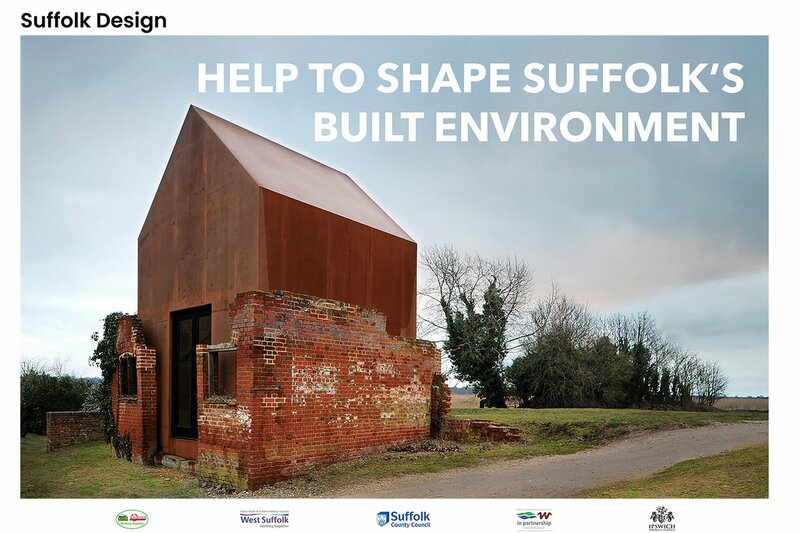 These will inspire people with the beauty of Suffolk’s environment and the best of architecture, landscape design and place-making from the county, as well as providing access to the technical data, policies and design tools they need to design quality buildings and spaces. Discussion, collaboration, networking and professional development will continue after the guidance has been launched. By sharing a vision for future developments, as well as the characteristics that make this county unique, the aim is to make sure that new developments complement their surroundings and have a positive impact.